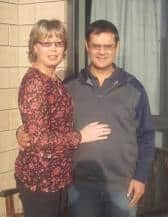 “I met Zarêlsie online through a colleague in 2003 and started following her blog about their life in New Zealand religiously to see whether my family would survive immigration to another country. It felt like we would be going to another planet. 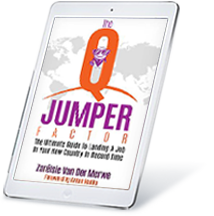 When I decided to go for a “Look, See and Decide” tour to New Zealand, Zarêlsie offered to put me up for the ten days I would spend in New Zealand. They collected me at the airport, drove around for hours every day showing me around and offered as much information and advice as my jetlagged self could process. Our points were not nearly enough as Police Officers were not on the Occupational Shortage list and both spouses having been Police Officers for just around 20 years did not improve our chances. We decided to keep trying and that if it is meant to be, we will obtain Permanent Residency while we are still in South Africa. It took another two years for my family to get on a plane with our Permanent Residence stamped in our passports. On the 7th November 2005 we arrived in Auckland, exhausted, scared witless but excited to start our new lives. Zarêlsie put us up for the first couple of days and helped us to get registered for tax, enrolled our oldest in school buy a car and find temporary accommodation until our furniture from South Africa would arrive. Our next hurdle now was to land jobs and that proved to be tough with no New Zealand experience. Zarêlsie’s husband Johan arranged for my husband to work as an electrical labourer for a couple of weeks on a project so that we could at least earn valuable New Zealand dollars and not live on the meagre but precious savings we had left over after the immigration process swallowed most of it. With her connections I was able to go to an interview for a Road Policing Analyst position that needed immediate filling. Although it was a one year contract only it would mean a foot in the door with the New Zealand Police. The position moved us away from our soft landing across the Auckland Bridge to Counties Manukau East and my husband applied for a job at one of the Countdown stores (grocery store) restocking shelfs at night. After a couple of months he could add this as New Zealand experience when he applied for a Prison guard position. He stayed with the prison service for about three years and then went into business for himself as an Owner Driver. The lesson is, don’t be afraid to get your hands dirty, it shows you are willing and able to get any job done. It hasn’t been an easy process and everybody experience it differently however the good news is, it gets better and it is what you make of it. If I can offer valuable advice, it is that you don’t abuse the kindness of the people who are helping you with a ‘soft landing’ and learn to do things the New Zealand way, the Kiwis don’t appreciate you wanting to change theirs. If you remanence too much and too often about your old country you may find yourself being advised (sometimes not so gently) to return to it. They don’t appreciate or suffer ‘braggers’ or ‘wet blankets’ well. You can never go wrong by frequently boosting New Zealand’s good qualities to its people. Finally I would like to add that Zarêlsie is an honest and genuinely good person who holds the interest of fellow immigrants close at heart and she has a wealth of knowledge and experience to gain from. We owe her so much for taking time off from work to give us a soft landing. Since arriving we have paid Zarêlsie and her family’s kindness forward by helping several families with their immigration process. Ten years on, on the 7th November 2015, and three Rugby World Cups later we are a happily adjusted family. Our kids have a bright and equal future and we are looking forward to growing old here.